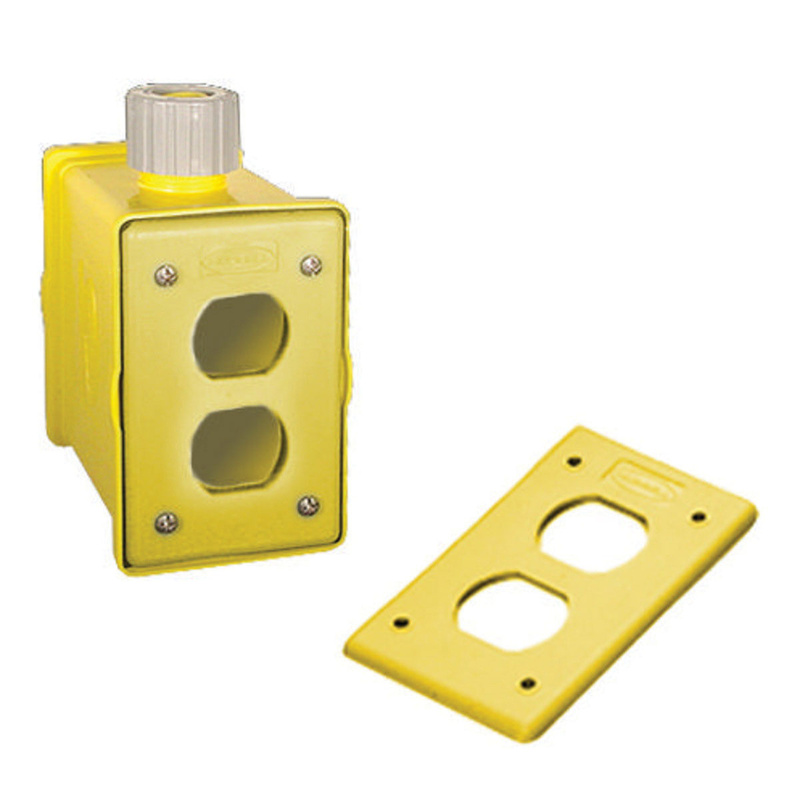 Hubbell-Wiring 1-Gang portable outlet box features cord ranging from 0.38 to 0.75-Inch. This box measures 3.18-Inch x 5.38-Inch x 4.2-Inch. The box with furnished finish, has portable outlet and strain relief. It comes with duplex plate. The outlet box meets UL and CSA standards.